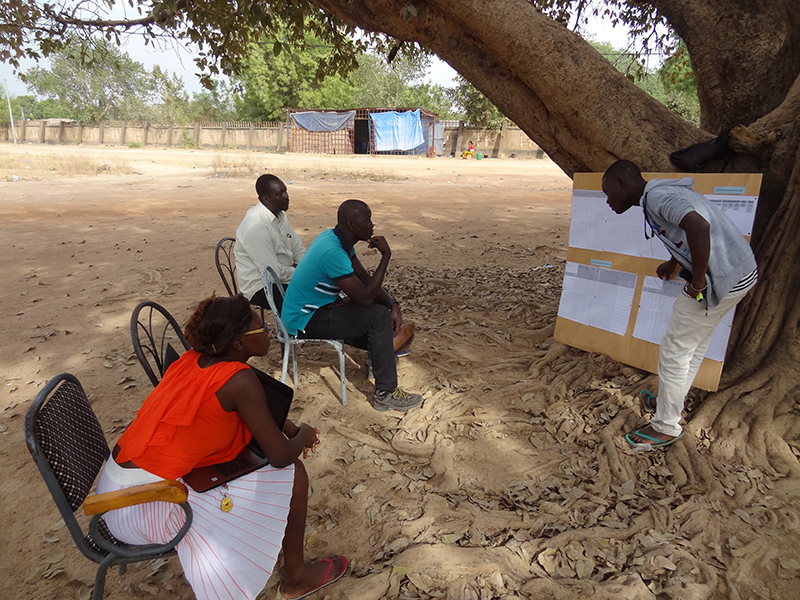 At the start of this season, AVN has started the first collaborative workshops to develop training tools and materials as part of the reinforced training activities in place since 2016. This brought together the various actors involved in training, including over 60 actual and potential trainer masons , 15 regional and 8 national AVN staff, and the international coordinators from the Training Centre. define the relationships between the different training actors, in particular between the trainer masons and the training coordinators. A lot of time was spent on the development of the Apprentice Record booklet, the main working tool of the trainer mason. 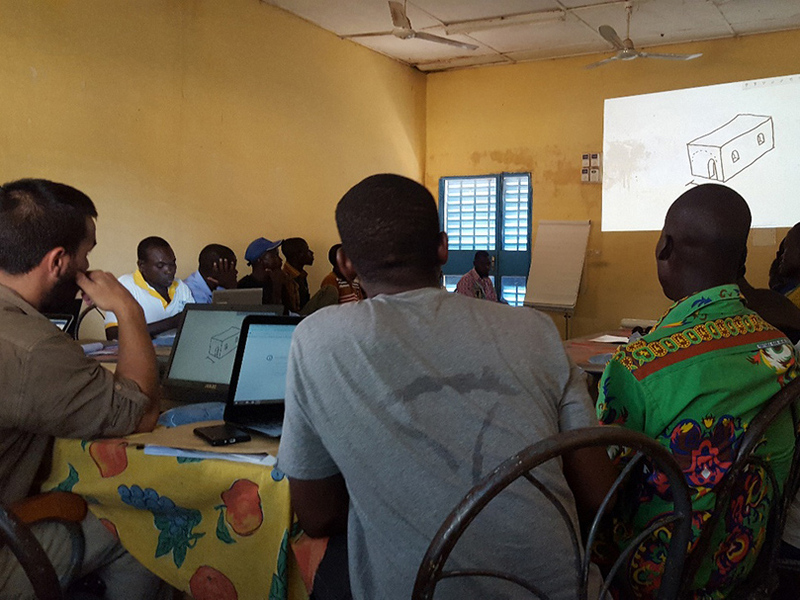 To this end, the Training Centre tested an innovatory method which involved projecting (on a wall) in real time pictograms for each technical post, prepared on a graphics tablet. The objective was to help the illiterate trainer masons (more than half of them) to make entries in the booklet. Following on, the good-humoured participants took part in role-playing exercises based on these pictograms. In a second phase - 6 weeks later - the international coordinators from the Trainng Centre met with the regional and national staff to confirm their respective roles and to develop together the monitoring tools and procedures for the 2017-2018 season’s training programme. 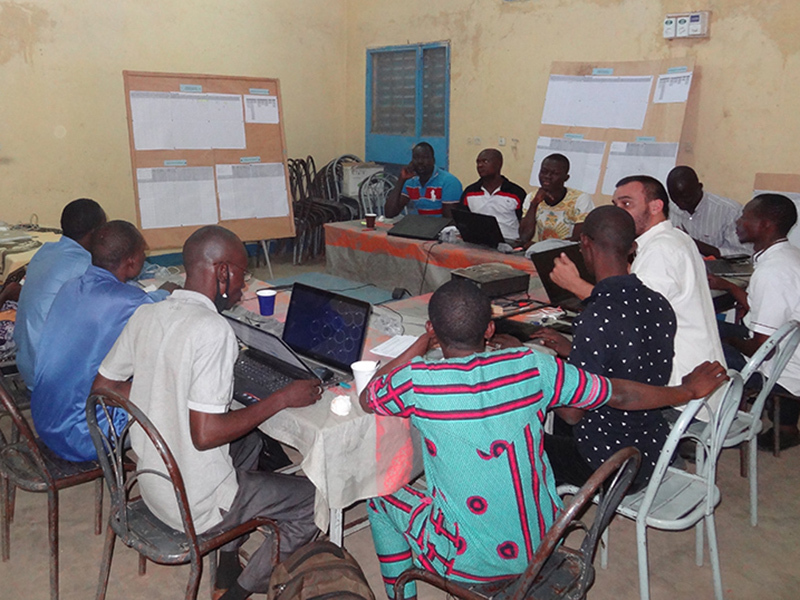 Further training sessions are planned at the start of 2018 for the trainer masons, and for the regional and partner teams (like those for the PISCCA project in Burkina Faso and the Fouta teams in Senegal) with the overall aim of intensifying training actions for all NV apprentices and masons. selected from the pool of artisan masons for their pedagogical skills and their personal career ambitions.